The Riviersonderend catchment in the Boland is one of South Africa’s 22 strategic water source areas and feeds the Theewaterskloof Dam, which supplies 40% of Cape Town’s water. 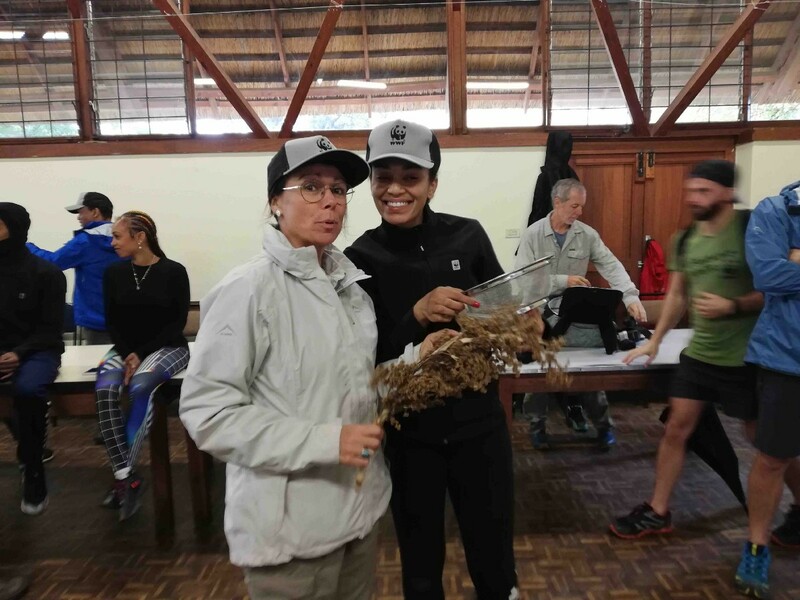 Determined to get to the real water source, walkers who took part in this year’s WWF Journey of Water had to wade through rain and mud during the heaviest rainfall experienced in one week in the Riviersonderend region over the past three years. 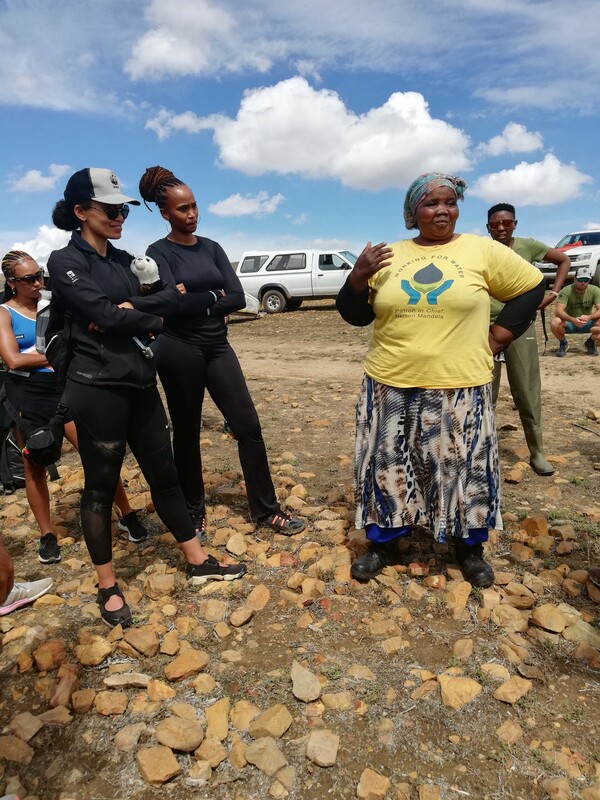 #MineAlert joined the Journey of Water in March for the second time, having participated in a previous journey that started in the Mabola Protected Environment near Wakkerstroom, which was under the threat of a proposed coal mine, and ended at the Jozini Dam. 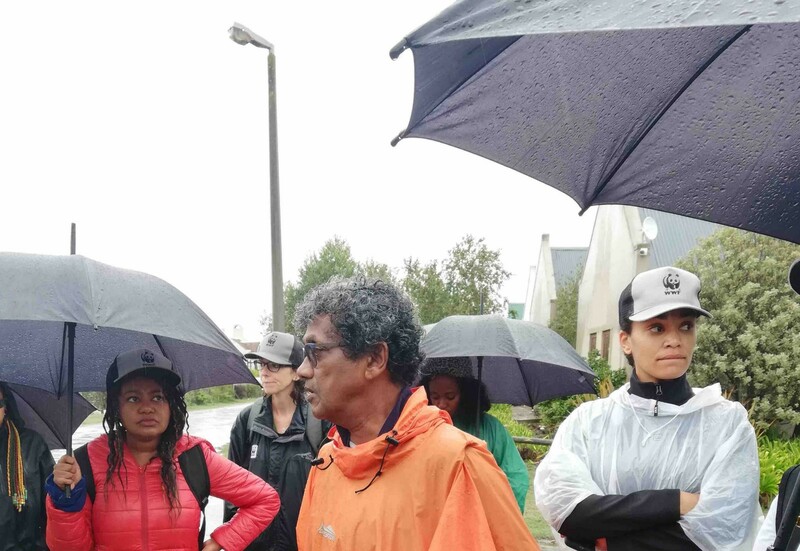 The Journey of Water is a bi-annual event that brings together influential South Africans, corporate partners and the media during a three-day tour through one of South Africa’s catchment areas. The event aims to open the eyes of all those who partake in it to the challenges that face water security in the country, and to influence them to share their experience and lessons learnt with their own audiences. The urgent need to clear invasive alien vegetation to improve water flow and secure biodiversity in catchments. Opportunities to develop a “catchment economy” in rural areas through alien vegetation clearance job opportunities and restoration work. Highlighting the critical need for strategic partnerships to address a crisis in governance in important water source areas. The main message was that water traverses a long journey from high-lying catchments, where the majority of rain falls and where major rivers start, before it reaches consumers’ taps. Christine Colvin, WWF’s freshwater senior manager, said the top of Landroskop mountain had received 90mm of rainfall during the weekend before the journey started, and the valley below it had received just 18mm. This highlighted the need to focus on high-lying areas as this is where most of the rain falls. “When it falls on a landscape that is degraded, choked up by alien vegetation or acid mine drainage, it becomes a disaster,” Colvin said. About 87% of rainfall in catchment areas ends up in the soil or plants, and the rest evaporates into the atmosphere. Knowing the type of soil and plants that absorb the rainwater makes a big difference. According to Colvin, they do have an idea of how much water natural vegetation uses and how much is used when areas are converted to or invaded by alien vegetation in the Western Cape. The issue of alien vegetation was highlighted in this year’s Journey of Water. “The flow in our rivers is reduced by about 4% to 6 % because of alien vegetation, and this occurs during the dry season when we need water the most. This small percentage can make a huge difference, as seen during the Cape Town drought,” said Colvin. “If we can make sure that the landscape in our water source areas where the rain is actually falling are healthy and ready to keep yielding sustainable, healthy and clean water down into our river systems and eventually into our dams, then we are on the right path,” she said. Although South Africa has world-leading legislation in the National Water Act of 1998, it is not being implemented fully, Colvin said. “All the pieces of the jigsaw are not being put together to work for us,” she said. Water Catchment Management Agencies are a critical missing link in the governance of water source areas. Ideally, South Africa should have nine agencies around the country but there are only two of these institutions at the moment and, according to Colvin, even these do not have their responsibilities dissolved to them fully as the Department of Water Affairs has not decentralised some of its responsibilities and passed them on to the agencies. WWF believes that water governance has many dimensions and is not just a government management issue. Solutions need to include partnerships that will influence what happens in the catchment areas. The conservation NGO has mobilised water source partnerships that “bring together the interests, actions and mandates of those connected to a local water source area”. Through these community-public-private deals the WWF already has projects running in eight out of the 22 national strategic water source areas. The Restoring Riviersonderend project is one such partnership, with rivers being restored and cleared of invasive alien vegetation. This partnership has been made possible through blended finance from government funding, private-sector funding, water users associations and community participation, including landowners and local “water heroes”. Eleven landowners have also contributed financially towards the project and 84 people have been provided with employment since its inception. As 15% of water source areas are cultivated, 13% are under plantation, 3% degraded and 1% currently under mining, the WWF highlighted the need to “act fast and reconsider unsustainable land use and invest in initiatives that engage local residents and water users to care for and contribute to the health of their catchment”.